Since my op, nearly 7 weeks weeks now, I have had an interesting hard lump about the size of a grapefruit above the scar. It is uncomfortable, basically feels as if someone has kicked me in the stomach, and by the end of the day it is dragging. When I saw the G.P last week to assess whether I’m fit for work, I’m not, I told him about my ‘phantom pregnancy’, which palpates as about 16 weeks gestation. He had a prod around, queried a haematoma and said he was pleased that I was seeing the consultant in 2 weeks and would I see him afterwards to let him know what the plan is. Plan is? I told him that I was NEVER letting anyone near me with a scalpel ever again so I expect that will be no plan to discuss! 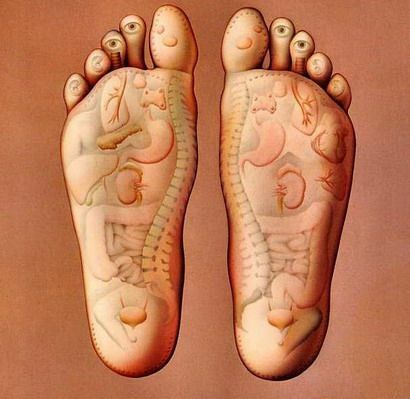 Over the last week I have become really p****d off with my lump as I have reached a plateau where I don’t seem to be achieving any further improvement so I have taken an extremely, for me, unusual action, I have booked to see a reflexologist. You see, I must be desperate. The most sceptical of people re alternative therapies is going to pay someone to twiddle their toes and put pressure on their soles. This flight in the face of belief is to take place on Saturday and hopefully by Sunday I will be able to potter and titivate in my garden. It’s all my own fault anyway, daughters told me to take Arnica after my op. Positive report of the hospital on the whole. There was the usual waiting for a bed, 7.30am until 2.30pm and not down to theatre until 3.30pm, by which time I had the mother of all headaches courtesy of nothing to drink since 6am. Just before they put me under they were having problems with my blood pressure, apparently it was extremely low, they commented that they knew I was alive because I had a good pulse, I commented that at least my headache wasn’t due to a stroke. Always a pragmatist, that’s me. I loved oramorph, until it made me violently sick, at which point the nurses decided that I was ‘sensitive’ to it so stopped giving it to me anyway. Instead they decided that codeine phosphate was the way forward. I was not happy with this as I know it causes constipation, and this was not a direction I wished to head in so, as a compromise, I requested that I be given lactulose. That was a ‘no go’ as I wasn’t written up for it. I suggested that this surely wasn’t a problem as lactulose is a PGD so they could prescribe it, none of them have their PGD’s. and it was the weekend so doctors were not readily available, I never got my lactulose but guess what I did get. I have no idea why Dr Crippen is getting so wound up about nurse professionals doing a doctor’s job as locally they cannot even prescribe an over the counter aperient. Enough grumbles. I’m alive. I didn’t contract an hospital acquired infection and hopefully I will be able to laugh about things in a couple of days time.